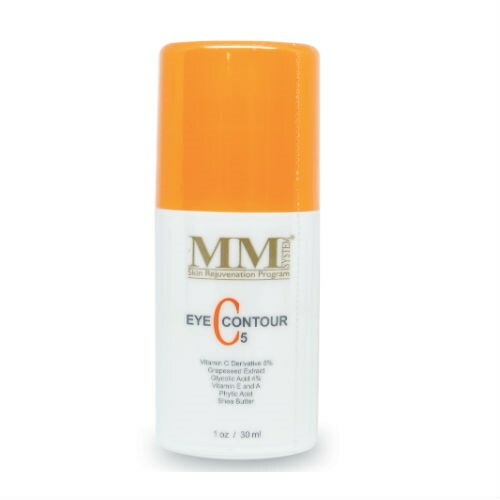 Mene & Moy Eye Contour C5 is a very special lotion with an optimal combination of selected antioxidants: Vitamin C 5% ,Vitamin E & A. Glycolic Acid 4%,Grapeseed Extract, Shea Butter & Phytic Acid. 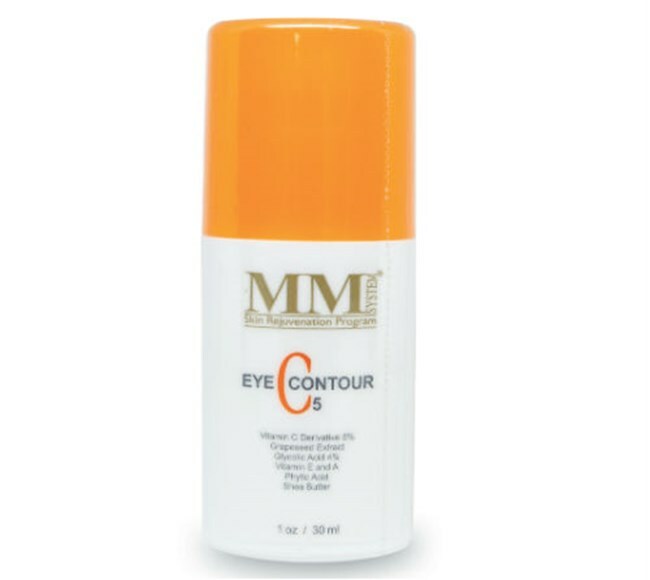 Developed for extremely delicate & thin skin, especially around the eyes. Aqua, Glycolic Acid, Ascorbyl Methylsilanol Pectinate, Caprylic/Capric Triglyceride, Phytic Acid, Propylene Glycol, Ammonium Hydroxide, Shea Butter (Butyrospermum Parkii), DEA-Cetyl Phosphate, Tocopheryl Acetate, Retinyl Palmitate, Cholesterol, PEG-40 Stearate, Cetyl Alcohol, Glyceryl Stearate, Grape (Vitis Vinifera) Seed Extract, Magnesium Aluminum Silicate, Sorbitan Stearate, Xanthan Gum, Diazolidinyl Urea, Fragrance, Testrasodium EDTA, Sorbic Acid, Methylchloroisothiazolinone/Methylisothiazolinone BHT. After cleaning with mild facial cleanser, dry skin thoroughly, apply sparingly around the eyes. Use twice daily or as recommended.